This will be my first time attending VMworld US as living in London I have attended VMworld Europe previously so am excited to see the differences, enjoy the bigger conference and meet some more fellow vExperts and other community members. There’s obviously a huge amount that goes on at the conference from the keynote speaches, breakout sessions, panel discussions, labs, formal and informal meetings, and general networking so working out what to actually see with so much going on is harder than many people would assume. VMware also use the conference as an opportunity to accounce new products or updated versions of products but these are generally not announced beforehand as VMware wants to keep the wraps on and use the exposure of the conference to highlight what they are up to. Many of the conference sessions however include information on what may be coming up in future versions of existing products from VMware and its partners. These may not be the headline items announced at the keynotes but a glimpse of future strategy and product development which are important if you work with the product. 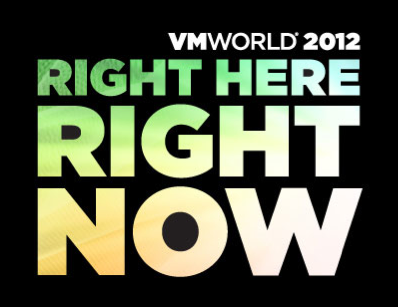 We all love finding out about new stuff so I’ve been going through the VMworld Content Catalogue to find out all the sessions that may tease us with a sneak peak at the future so you can get ahead of the game! Hover over the links to see a description of the session. EUC has been a major focus area for VMware over the past few years with many aquisitions and product enhancements. There are quite a few products that have already been announced but not released so VMworld is a great opportunity to find out more about the new offerings. Octopus is secure Dropbox for the Enterprise and is a product that has been in Beta for a while and may be one of the official VMworld announcements. Horizon Application Manager is a new product. It’s an Application Store front where you can centrally present all your SaaS, Web and Windows Applications and Desktops to your users in a simple to manage interface. MVP is another new product to allow you to run multiple virtual instances of an Android phone on a single physical smartphone so you can for example have a secure work phone operating virtually on your unsecure personal phone. AppBlast is a remote display protocol which hasn’t been released yet to allow you to use Windows apps on any device. ThinApp is an existing application virtualisation product. SlideRocket is web based PowerPoint but no VMworld sessions talk about it although there is a lab. These are the traditional infrastructure products which currently make up the majority of VMware’s offering. VMware has announced it has signed an agreement to purchase DynamicOps which is a cloud automation product. Interestingly it allows you to manage VMware vSphere, Microsoft Hyper-V and Citrix XenServer as hypervisors, HP, Dell & Cisco physical hardware and VMware, Amazon and Windows Azure clouds. My thinking is VMware’s plans are to create a vCloud Director lite product for SMBs and Enterprises that don’t require the advanced networking of vCD but would like the automation. Book to see this session to find out their plans. VMware has recently purchased Nicira a Software Defined Networking (SDN) company. This is VMware’s most serious network portfolio expansion to date. Yes, there’s still more to come from the recently rewritten HA component of vSphere along with new bits for vMotion, DRS & FT.
Should give some information on what VMware’s partners have up their sleaves for vShield Endpoint. vSphere replication is not a product by itself but a storage replication engine which can be used by Site Recovery Manager so you don’t have to have SAN replication. VMware has realised that its customers need to manage more than just VMware virtual machines and needs to strengthen its management products particularly with the push soon from Microsoft (hence its purchase of DynamicOps) but there are warnings from Gartner on how difficult this can be. This one looks particularly interesting as it will show what VMware’s plans are to further integrate their management products around vCenter into a tighly integrated Cloud Infrastructure Suite. The future of IT automation for SMB, could this be something to do with Dynamic Ops? The Application Platform is probably fairly new to many VMware customers and a very different set of skills that are required to the traditional infrastructure products.